Unique open layout that offers amazing views from large windows. 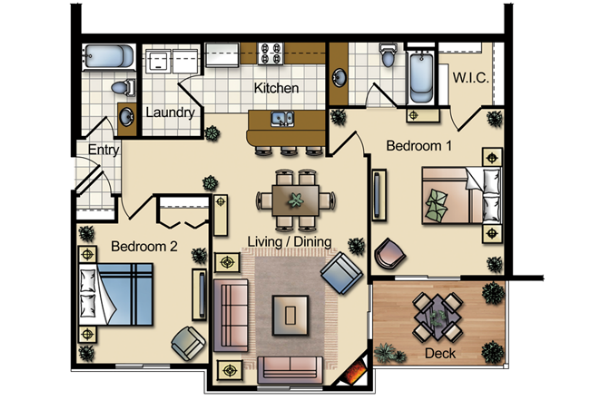 Very spacious traditional style layout with two walk in closets. 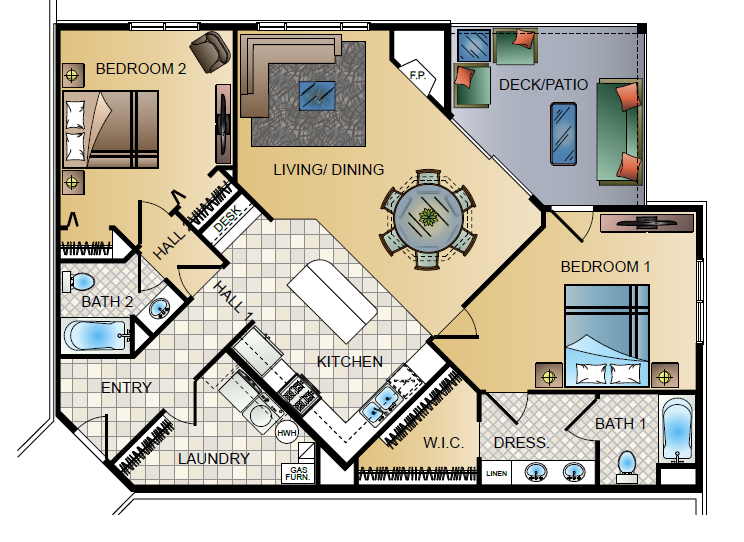 Enjoy this spacious floor plan that offers tons of closet and storage. 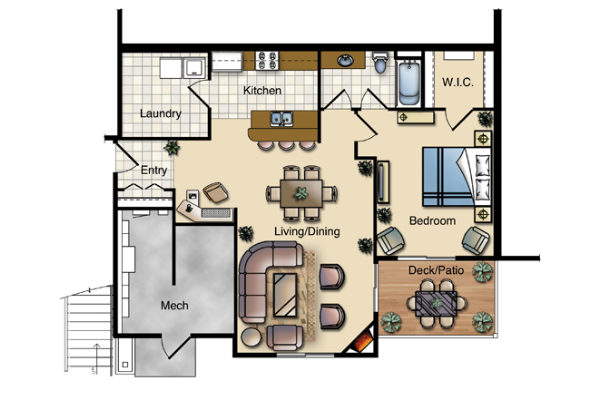 Traditional style layout, that will exceed all your needs. Elevator access to 2nd and 3rd floors. 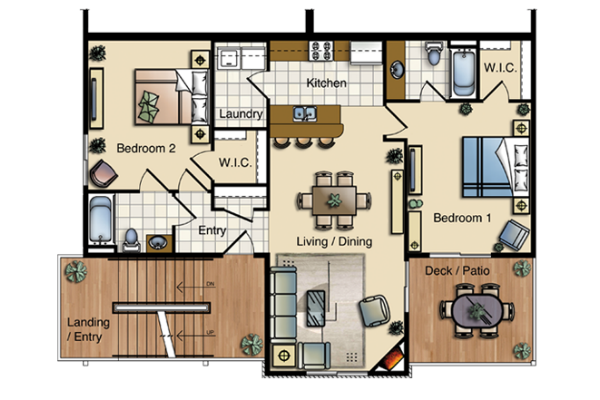 A 2 Suite Floor Plan; it’s ideal for a home office or roommate. 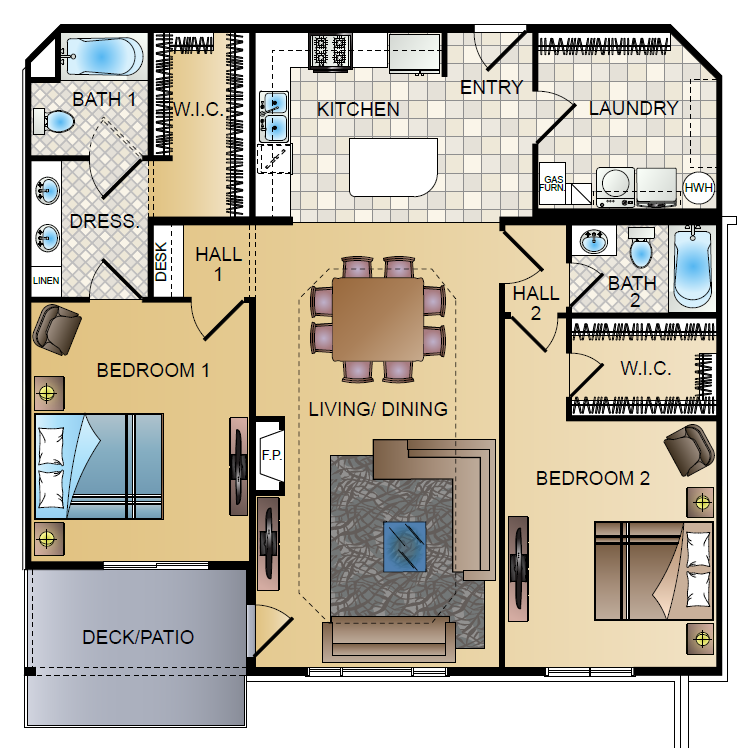 Although it does not offer elevator access, you gain 2 walk-in closets and a larger deck.